Dr. Chynn is the most experienced & famous LASEK surgeon in the world. He gives invited talks and lectures nationally and internationally every year, where he teaches surgeons how LASEK can safely treat patients who cannot get LASIK. This is why he switched from performing 5,000 LASIKs non-invasive LASEK (20,000+ procedures). 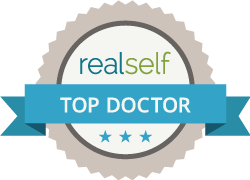 Dr. Chynn graduated from Dartmouth College and got his MD from Columbia University, the #1 medical school in NY. He completed his residency in ophthalmology in 1996 at Harvard and his fellowship in Corneal Transplantation & Refractive Surgery at Emory University. Dr. Chynn was on the teaching faculty of Manhattan Eye, Ear & Throat Hospital and New York Eye & Ear Infirmary, which Top Specialty Eye Hospitals ranked by US News & World Report. He heads his own Fellowship in Refractive Surgery—the largest of 10 in the US! 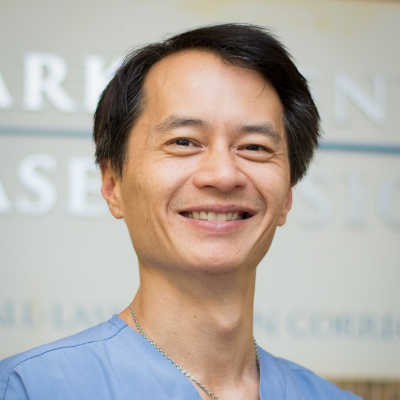 Dr. Chynn was the 1 st eye surgeon in the NY area to get LASIK himself (in 1999, for high myopia and astigmatism), and although he is still seeing well, he has night glare and dry eyes. This is why he switched from the cutting LASIK to the much safer, non-invasive, non-cutting LASEK in 2005, to eliminate those problems. He is the only surgeon in NY to offer laser to his staff at cost; both Mark and Jane got LASEK & are seeing BETTER than 20/20. He is also the only laser surgeon in NY who provides his patients with his personal email and cell phone, so you can contact him 24/7!